Thank you all so much for making the CDD March release great!! Be sure to join us for our April release we have some new items coming to the CDD shop, that you won't want to miss!! I can't wait to share with you. Now onto the winners. Congrats winners!! Please email me at craftindesertdivas @ gmail dot com. Please put what prize you won as the subject. Thanks!! You have one week to claim your prize. We have a super fun Facebook co-hop with Marjorie Ann Designs. 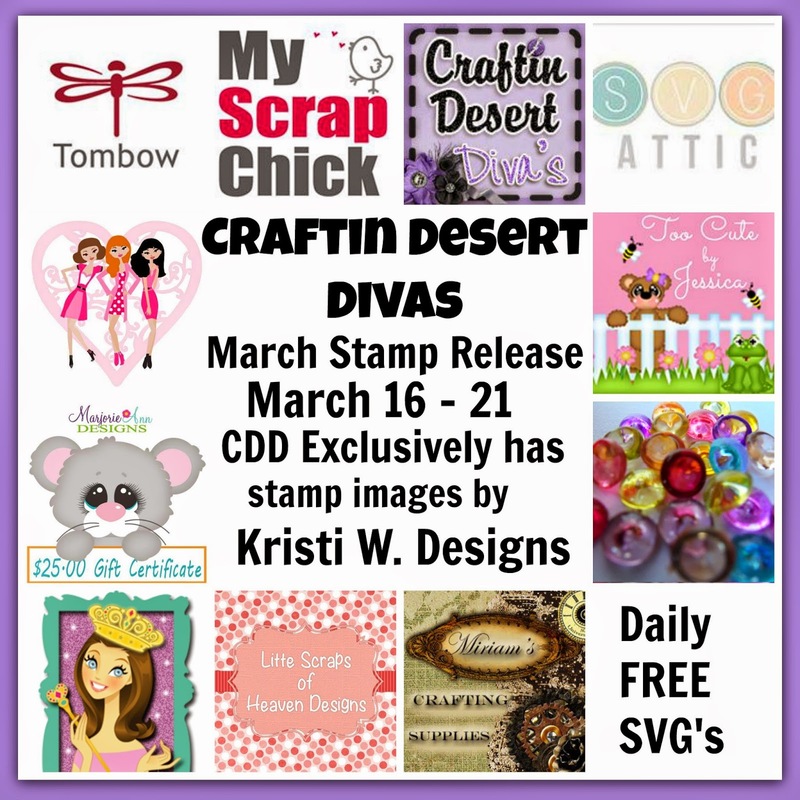 The CDD DT ladies will be showcasing CDD stamps with Kristi W Design images & Marjorie Ann Design Team will be showcasing SVG's from Kristi W Designs. Hop along with us as there will be SVG freebies and prizes!! Congratulations to all the winners!! It was a GREAT hop!! Thank you for sharing and giving me and others such inspiration!!! KUDOS!!!!!!!!! Zippitty doo dah day, I won a prize! Thank you so much for the awesome hop.